Forbidden Fruit or Good Hypo Treatment? 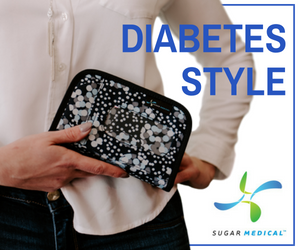 When our daughter was diagnosed with type 1 diabetes, we stocked up with juice boxes, glucose tabs, cake icing gel, and of course Glucagon. We almost always reached for the juice box when we needed to treat a low. 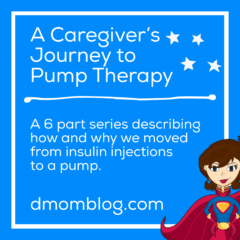 I think I have given my daughter one glucose tab in the two years since diagnosis. But then last Halloween during our trick-or-treating excursion, which included both excitement and lots and lots of walking and running, Q went low. She asked if she could have some candy and I reached into her heavy pumpkin-shaped bag and found a treat I thought might be acceptable. Mind you though I can name serving sizes and carb counts of hundreds of items in my sleep, I don’t know the carb counts of candies. So here’s the conundrum: We spend so much time trying to avoid high sugar items for our type 1 kids, yet they need sugar to treat lows. Do we let them have a little bit of fun by allowing them candy for lows since they can’t eat it freely at other times? Or should we stick to healthier choices such as juice (which I never had in my house before diagnosis)? By treating lows with candy are we sending the wrong message encouraging kids to want to be low in order to eat forbidden candy fruit? 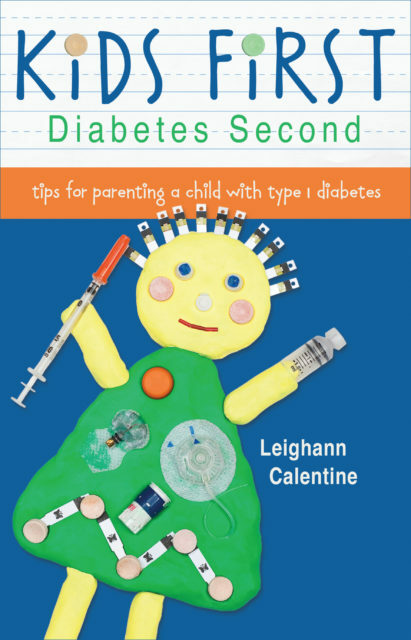 Additional Resources: D-Mom Blog features carb counts of many common candies. 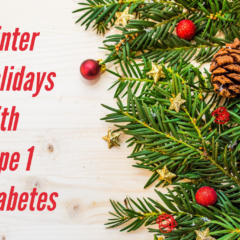 This post is on the topic “making the low go” as part of the Diabetes Blog Week 2010. For more participating blogs, visit Bitter-Sweet. And by the way, Skittles totally make my daughter spike! Day Two: Forbidden Fruit or Good Hypo Treatment? Day Four: Let Them Eat Cake! I got EXTREMELY confused for a moment, until I saw your picture of what ‘smarties’ were. Over here, Smarties are a bit like M&M’s, so I couldn’t wrap my head round that one! LOL! I got confused reading a Canadian blog that talked about Smarties being chocolate. Funny how they can both have the same name and be completely different. Like you said, I sometimes feel like giving her candy for a low is a perk for a condition I wish she didn’t have. I don’t think she would cause herself to go low just for a treat, but she gets a little happy when she does get to have the candy. She’s only five and I think by giving her a treat it doesn’t emphasis the fact the she shouldn’t “want” to go low…that it’s bad to be low. I guess it’s just another one of those fine lines we have to walk in dealing with the D.
I struggle with the candy thing too. I feel like I am just “pumping” junk into her when she is low. I guess it is just the nature of the D Beast. 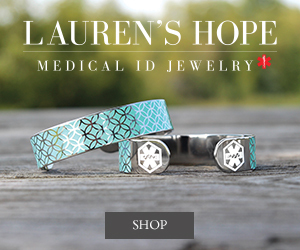 We never even kept juice in our house until diagnosis. She’s had way more juice and candy since diagnosis than she ever did before. what we do here (UK) is advise 15g quick acting for a hypo which can come in the form of x5 Fruit Pastilles of x4 Jelly Babies or x10 jelly beans. Now, I know in other parts of the world you can’t buy Fruit Pastilles and Jelly Babies but I know you can get Jelly Beans everywhere! x10 for a BG level below 4 on a UK meter. It’s not a massive amount of junk but they taste better than glucose tabs and work quicker than juice. Then you follow up with 15g longer acting (x1 cookie or x1 slice bread) after the 15min, unless you are on a pump in which case no follow up carbs are needed. Yup, I’ve been buying Smarties instead of glucose tabs for a while now – ever since reading about it on another diabetes blog. I find that long with being cheaper, the small rolls are easy to stash in each pocket of my purse and in my meter case! That way, when I’m low I don’t have to dig around too much to treat! 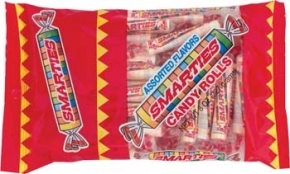 My 15 yo daughter carries smarties with her for their portability but she will just as likely drink a juice box at home when she gets low and isn’t hungry. Our CDE actually told us to get smarties instead of glucose tabs because smarties were cheaper. . The CDE at Isaac’s clinic was the one who suggested, and gave a large bag of, smarties to us at diagnosis. My husband has t1 and usually treats with either OJ or milk if he needs it brought up quickly, or he’ll do peanut butter and crackers, apple and pb, or nutella with crackers. We stopped using the smarties for Isaac because his older brother started saying, “if he gets candy I want candy, too”…so for now we’re sticking to using glucose tabs and calling them ‘medicine’ so that the older bro doesn’t feel too jealous. We’re also concerned about tooth decay as my boys have poor enamel and juice and other high-carb sweets stick in the teeth. So, for the little guy glucose tabs work great. My son gets excited too when he his low. If fact when ever he see’s a low number on his meter he say’s he wants to wait to treat the low so he can be even lower, Cause low means: Candy!!! We use some gummy snack packets from the grocery store and juice boxes. The sad part is when the kids are low they never really even taste the candy cause they are to busy shovling it into thier mouth to treat thier low so they feel better. I kind of just put all her low blood sugar treats in a small tupperware container and have her choose what she wants at the time. I feel it doesn’t highlight the candy as much. Sometimes she’ll go for the juice or glucose tabs but yes, since candy is pretty much non-existent (and actually was not around very often pre-D either) I throw some smarties and skittles in there too that she can pick. I personally avoid treating my lows with candy as an adult, because I don’t want to condition myself that it’s ok to be eating candy whenever I’m low. As a kid, however, I developed a wicked taste for cake mate because it was the only “candy” I was allowed to have. As in, I would sneak tastes of it even when I wasn’t low!! But back then, it was the “no sugar for diabetics” era, and this created too much temptation for me. I am ashamed to admit it now, but I did sneak candy and other treats from friends’ house once I was old enough to do so. One of the benefits of being on the pump is that you can adequately cover high-carb treats ON OCCASSION and not have too many negative effects. I think this is a much better approach to raising a child who is not going to be a closet-cake-mate eater as a young adult. Also, it helps balance the temptations that will exist in high school. My contorl in high school was AWFUL because I had too much access to foods I wasn’t supposed to be eating. It’s a tough balancing act, but I think being flexible and allowing treats is better. 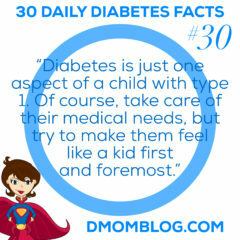 I think in this case it should be just like any other child who doesn’t have Diabetes. Would you give them candy as a treat all the time? No, probably not. So you give it to them sparingly. I think as an occasional treat it’s fine. Maybe not for every low so as not to display a negative message, but, occasionally it’s an opportunity for them to have that little treat they otherwise wouldn’t get to have. Your blog is one of many that talk about Smarties and I think I just got pushed over the edge. The cost of glucose tablets is ridiculous! My son loves glucose tablets anyways, so I don’t think there is really any difference between them and another sugar treat. This week we are glucose, next week we will be SMART! Juice doesn’t work fast for my son so we only used Dex tabs until I realized that rockets (smarties for you) were the same thing and much cheaper. Since then that is all we use. I have an old dex bottle and keep the packages in it which I think mentally makes him think they are low treatments instead of candy but I will use anything that will raise his sugars quickly. Especially when he is very low.